For a company you can depend on, turn to JONCO Industries. They treat every product and project as if it was their own through offering outstanding client service, meeting the tightest of deadlines and maintaining superior quality control. Whether you need custom embroidery, or more complicated projects taken care of, call JONCO. Their customer service staff is ready to help solve all your needs. We are a supplier of fabric products for many industries, but we specialize in offering products to law enforcement, military, and health care industries. We know that these industries require many custom designs, which is why we offer additional services like custom embroidery and prototype designs for all customers. You can lean more about what we do on our website today! Custom embroidery is the creation of a unique or specific decorative embellishment fashioned by needle stitching thread through a foundation fabric either by hand or through the use of an embroidery machine. Though commercial embroidery is available, custom contractors can offer consumers more control over specific design and material decisions. 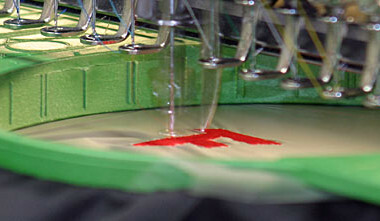 Custom embroidery has become popular in several sporting and business settings. Embroidered goods have become a means of branding, general identification of company property and employee unity. 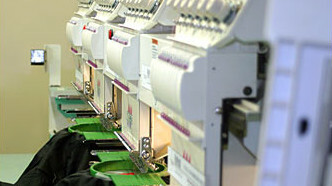 Businesses utilizing embroidery in this way range from construction to banking firms. Custom creations of this sort have also reached wider audiences becoming popular as novelty gifts. Although some contractors do custom sewing as well, the majority use pre-fabricated articles to which embellishments can be added. This allows for faster productivity and the option of personalized name brand apparel. Contractors often sell blank items to be embroidered or consumers may provide their own. Today, custom embroidery is found on a number of items including soft luggage, shirts, hats, protective covers, jackets, team apparel as well as decorative household linens. Traditional embroidery was stitched into wool, linen and silk. Modern technologies still employ these materials, but they have also expanded to the use of many more fabrics such as cotton, rayon and leather. Thread and novelty yarn as well as beads, metal strips, pearls and sequins are often used in combination or alone to create the elaborate designs now possible. As technologies improve so do customization options offered by both large and small embroidery companies. Computer programs allow the digitization of graphic designs and even photographs, which can then be converted into embroidery patterns. Images are uploaded to software that can recognize colors and patterns, turning them into a guide for creating that same image with the products available. Although many embroidery machines can give the appearance of traditional stitches, most often this is only an appearance and the actual construction of the stitch differs, sometimes using multiple threads at once. Hand stitched custom embroidery makes use of many stitch techniques. The chain, buttonhole, running, cross and stem stitches are among the most popular styles for embroidery. At times multiple stitches are used with one as an outline and another as the fill to complete the interior of a design. Custom Embroidery - MARC, Inc.